Let’s face it. No matter how hard we try we will never be able change everyone’s mind about Colombia. There will always be people who find something negative about it. It could be its government, trade policy, stance on Venezuela, etc. ; the list can go on. Personally, I’m apathetic to politics. I’ve never really cared for them. But one thing I’ve always taken a great deal of interest in is food. This is one aspect of Colombia that only good things can be said, and you if you don’t believe me just try it. Trust me, you won’t be disappointed! I believe that eating and drinking are perhaps the most important activities in any social group and will make a big part of who we are, regardless of where we live. 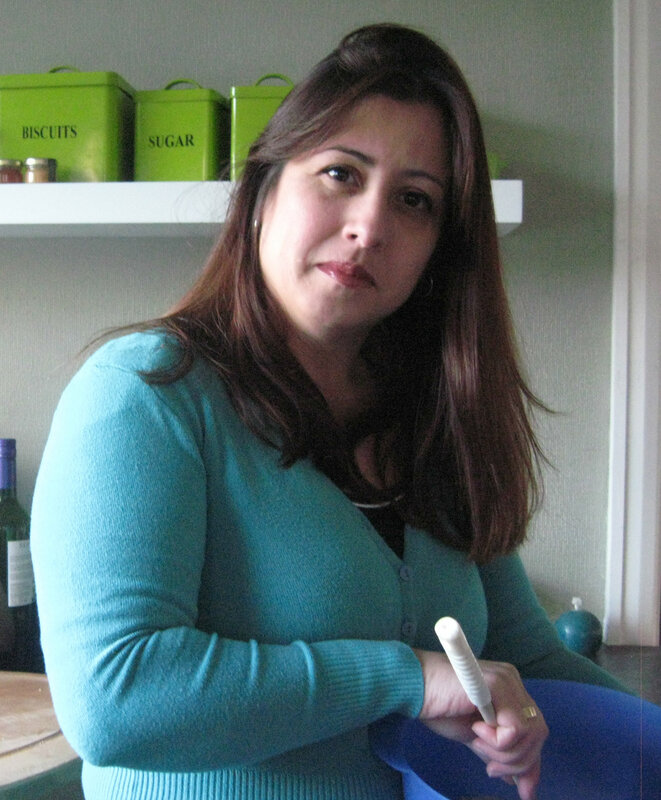 A perfect example is Nohora Smith, a Colombian expat residing in the UK and founder of My Colombian Cocina. I was fortunate to be introduced to Nohora by Margarita Echeverry, one of the directors of Redes Colombia. I immediately jumped at the opportunity to interview her for my last post series on Colombia. After all, apart from Colombian music and football, the only other element that furnishes Colombian culture in the UK is food. 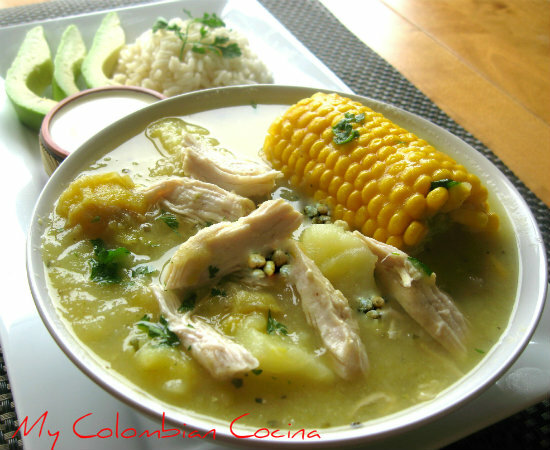 Sancocho has become popular in mainstream London and to an extent British culture. Nohora, thank you for taking the time for this interview. Can you tell us a bit about yourself and about My Colombian Cocina? I was born in Bogotá, Colombia. My family and I have lived in Canterbury, England for the last eleven years. I am an architect, a homemaker, lover of cooking and of autochthonous fruits from Latin America. Ever since I arrived to the UK I have tried to look for and adapt many of the ingredients to our traditional dishes. My first intention was to help some of my friends find Colombian products and recipes, especially since reading my family recipes in books or the internet is not the same thing as actually trying the recipes with the products that one can find in the UK. What are some of your earliest memories of Colombia? I remember Colombia with a scent left impregnated in my memory and in my soul. Colombia is the Caribbean and mountains. Colombia is hot and cold temperatures both in the same region; long days full of light others with lots of rain. From outings to the park or sitting on the couch with a cup of agua de panela (panela water) in your hands. It’s all part of our folklore, and the memories of those who have left it in search of new horizons, but always with the hope of returning and being able to sit in a hammock and enjoy the breeze of flowers and the rustling of birds. You’ve had to recreate Colombian dishes without access to ingredients easily available in Colombia. What has this process been like? I remember my first challenge was to make empanadas, but here the flours, cereals and condiments are very different. Plus, I don’t live in London, where you can find some Colombian products, but in a smaller town. That’s why I’ve dedicated myself to finding replacements or equivalents of some products that can be adapted to my recipes. I’ve spent eleven years in England and I have taken the time to find out what I can actually change or replace. In fact I have some banana plants so that I can make tamales in the fall and then save them for the winter. In your opinion, what kinds of food do Colombians abroad miss the most? I think they are the tropical fruits such as guanabana (soursop), chontaduro (peach palm), mamoncillos (Spanish lime), Andean figs – very different from the European figs – guavas, maracuya (passion fruit) and especially lulo (naranjilla) and the curuba (banana passion fruit). These last two are almost an unattainable dream. As for other products, it all depends in the area that you live in. Sometimes it is possible to find cassava, plantains and flours in some supermarkets. Other products are only attainable through internet stores at very steep prices. What do you think we can do to make Colombian cuisine more popular abroad? Well, when I first arrived to the UK my first recipes were a means to rescue my tradition, so that one day my children could use and share them with their families. However, I later realized that it’s our duty to promote every little secret about Colombian gastronomy and at the same time give it that personal touch. Fusing and evolving it with the modern world and with the resources that each of us have in our countries of residence. As my grandfather used to say, “Every bit helps to fill the wagon”. Do you have a favourite Colombian recipe? Yes I do! My favourite recipe is the Ajiaco Santafereño, which is a recipe that I will be sharing with you today. Also known as Ajiaco Santafereño. This soup is usually thick and rich, and makes a substantial main meal as well as a patisserie. Corn Cake or ‘arepas’ are traditionally added to many meals, and in this dish avocado, rice and capers. Take the chicken apart and shred by hand into medium-sized pieces. Added a bunch of guascas (or it can be replaced by a teaspoon of oregano), and remove before serving. If you still have room for dessert after the ajiaco, I leave you with this YouTube video of Nohora’s recipe for a delectable mantecada. I enjoyed this interview and will compare the recipe for ajiaco to the one I recently acquired. Top of my list to bring back from Colombia last month was “gauscas” to make it. I have never been able to find out what it is – we seem to have no equivalent, but I thought it was interesting that Nohora suggested substituting oregano. Did you manage to bring back some with you?